Clear Shine's professional hand washing is so much more than just window cleaning. 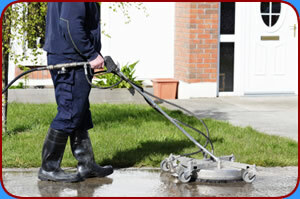 Clear Shine delivers professional results, competitive pricing and guaranteed satisfaction on all of their services. Whether it's window cleaning, pressure washing, or gutter cleaning, Clear Shine can help rejuvenate your home or commercial space by restoring the beauty lost over time. Using a powerful combination of environmentally safe chemicals and good ol' fashioned elbow grease, Clear Shine rids the exterior of your home of dirt and other debris. From gutters to driveways, porches to patios, let Clear Shine's dedicated and friendly crew bring your exteriors back to life! Limited Time Offer - Call Today! and receive a FREE in home quote. Clear Shine services homes all over Metro Atlanta, including: Acworth, Alpharetta, Austell, Bartow, Canton, Cherokee, Cobb, Dallas, Dunwoody, Fulton, Kennesaw, Marietta, Norcross, North Fulton, Paulding, Powder Springs, Roswell, Sandy Springs, Smyrna, Stone Mountain, Towne Lake, Vinings, West Cobb, West Marietta, and Woodstock. Copyright © 2006: Clear Shine, Inc. All rights reserved.